Who could ever forget the most amazing test pilot who held the world air speed record? Of course, no one could ever forget such a skilled pilot as Neville Duke. What made him even more famous was the coronation year of Queen Elizabeth where he was acknowledge together with other famous celebrities like Stanley Matthews, actor Dirk Bogarde and mountaineer Edmund Hillary. He was credited with taking part in 27 air battles, 1 probable damaged aircraft, 6 damaged and 2 fighter aircraft destroyed while on the ground. With all the other accomplishments and awards Duke had, he will however remain most famous a as a test pilot and world record holder. Neville Duke’s early education was spent in St. Mary and The Judd School in Tonbridge. Because of his contribution to the World War II, 4 houses have been named after him in the Judd School. Before he was a fighter pilot he worked as an auctioneer and estate agent to earn his living. He attempted to join the Fleet Air Arm on his 18th birthday but he was rejected. He did not lose hope and stopped his dream of helping the country so he joined the RAF in June 1940 and became a cadet. Neville Duke was born on January 11, 1922 at 82 Hadlow Road, Tonbridge, Kent. His loving parents were Frederick Herbert and Jane nee Tarbit. They were not a well-off family as his father worked as a managing clerk for a corn merchant. In 1947, Duke married Gwendoline Fellows. Duke undertook pilot training so he could fly aircraft during the war. Because of his outstanding talent, he was often chosen to be a wingman to Biggin’ Hill’s famous Wing Leader, Wing Commander Adolf Malan. He was able to shot down Two German Messerschmitt Bf 109 fighters. Although he was shot down by enemy aircraft several times, he did not lose hope but continued to fight to the best of his ability. In February 1942, he was able to win eight aerial combats which led to him being awarded the Distinguished Flying Cross. When he joined the 92 Squadron, he was became their commander and made 14 victories which paved the way of one additional bar to his Distinguished Flying Cross. He was then promoted as Squadron Leader and became the chief flying instructor. At the age of 22, he was named the Mediterranean Theatre's top Allied fighter ace. With 712 flying hours, he was credited with wining 27 air combats. When Neville Duke returned to UK in January 1945, he was assigned as a test pilot for Hawker. To increase his skill levels, he joined No 4 Course at the Empire Test Pilot School located in Cranfield in 1946. After the training, he joined the RAF’s High Speed Flight Unit which was led by Teddy Donaldson. Neville Duke acquired many awards due to his test flying skills including the Czech Military Cross and Air Force Cross. It seemed that he had achieved enough with RAF, so he resigned and joined the Royal Auxiliary Air Force where he flew Spitfires and Meteors from RAF Biggin Hill. Later, he joined the Hawker where he became Chief Test pilot in 1951. 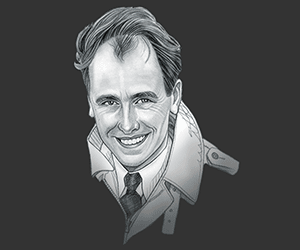 Being a test pilot made him more famous and renowned as he contributed so much to supersonic flight and the other groundbreaking achievements of Hawker. On 7 September 1953, Duke set a new world air speed record of 727.63 mph (1,171.01 km/h), flying Hawker Hunter WB188. Two years later suffered a fractured spine which immobilized him following a severe crash landing due to engine failure in August 1955, because of this accident he resigned from Hawker in October 1956. Duke retired from being a test pilot and was contented with being vice president of the Eagle Club and also the honorary president of Tangmere Military Aviation Museum. On April 7, 2007, he and his wife were traveling in a private aircraft which Duke piloted. While flying, Duke felt ill and decided to land at Popham Airfield. Luckily, they landed safely. After leaving the aircraft, Duke collapsed and he was rushed to St. Peter’s Hospital in Chertsey, Surrey. Later in the evening he was pronounced dead following an emergency operation. 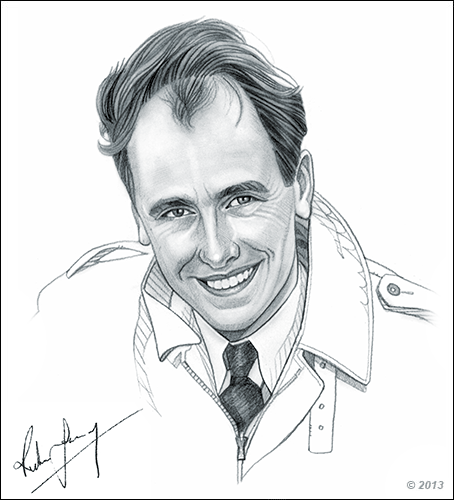 Neville Duke was well known for having been one of the world’s leading test pilot. In fact, it has been rumoured that the book entitled “Dan Dare, Pilot of the Future” was inspired on the amazing achievements of Neville Duke. This picture of Neville Duke is Copyright © June 2014 Siteseen Ltd. We only allow this picture to be used for printed non-commercial purposes and particularly encourage it's use for printed educational non-commercial purposes. This Neville Duke picture is not in the Public Domain. 3) Use of this Neville Duke picture, or any of our pictures on websites re-distributing copyright free material is strictly prohibited.